Unforgotten Hero tells the life story of Second Lieutenant Jimmy L. Escalle, a U.S. Air Force fighter pilot who became missing in action during the Korean War. Born in Fresno, California, but raised in the small farming community of Earlimart in Tulare County, Jim’s story unfolds during the Great Depression when many people around the country had a hard time finding work. His father married at a young age and just had a grammar school education, but he raised Jim and his younger brother by setting the one example he got from his own father – that of hard physical labor. He spent long hours each day in the cotton and potato fields instilling in his two boys the value of hard work and perseverance. As the story develops, you will read about what it was like growing up in a small farming town in California’s San Joaquin Valley during the 1930s and 1940s. There is mention of a Japanese-American family being taken to an internment camp, and German POWs doing farm labor in the same potato fields where Jim and his brother worked. Jim was a caring older brother, a devoted son, a talented athlete, and a young man of character who always put others first. He started high school as the Second World War was at its peak, and graduated during a time of transition within our nation and around the world. He had always wanted to fly airplanes someday, and with the introduction of jet propulsion during his high school years, he dreamed of becoming a jet pilot. 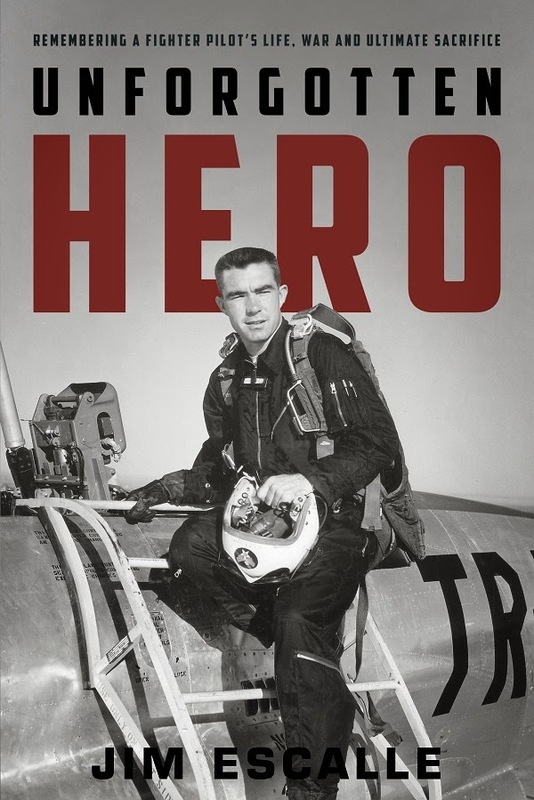 Called to serve his country after the Korean War began, his dream became a reality when he joined the Air Force and got the opportunity to fly the F-86 Sabre, regarded as the most advanced jet fighter of its time. Soon after arriving in Korea he went on his first missions, which were MiG Alley sweeps. However, since Jim was assigned to a fighter-bomber squadron, the majority of his combat missions were air-to-ground. These were the most dangerous missions. In Korea, more pilots had been killed or listed as missing in action due to being shot down by ground fire rather than enemy aircraft. For Jim, this fact was realized only five weeks before the armistice was signed. He paid the ultimate price for freedom when he disappeared while on a combat mission over North Korea and was never seen or heard from again. Jim was only twenty-three years old when he became MIA, but in that short time he lived an exemplary life, including being able to fulfill a childhood dream of becoming a pilot. He personified the typical spirit of most young fighter pilots who flew combat missions in Korea, and many just like him never came home after the hostilities ended. His life story is but one example of the thousands who answered the call to serve their country at this time in history. Let us never forget them, or the sacrifices they made for freedom. Click on the bookcover to order from Amazon. Copyright 2018 Jim Escalle. Simple theme. Powered by Blogger.